Knead together all ingredients listed with enough water to form a soft dough. Cover with slightly damp paper towel and let it rest for 20 minutes. After 20 minutes, divide the dough into small balls around baby's fist size. 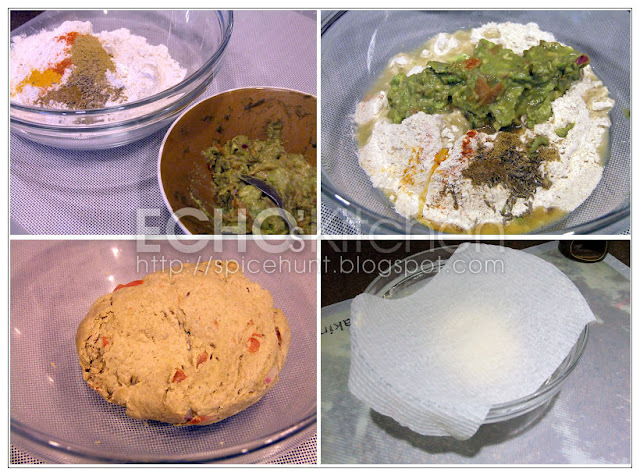 Dust with flour and roll it into a disk size flat bread. Spray or lightly spread a thin layer of vegetable oil/olive oil over the flat bread, and fold it into half, and then another half to form a triangle shape. 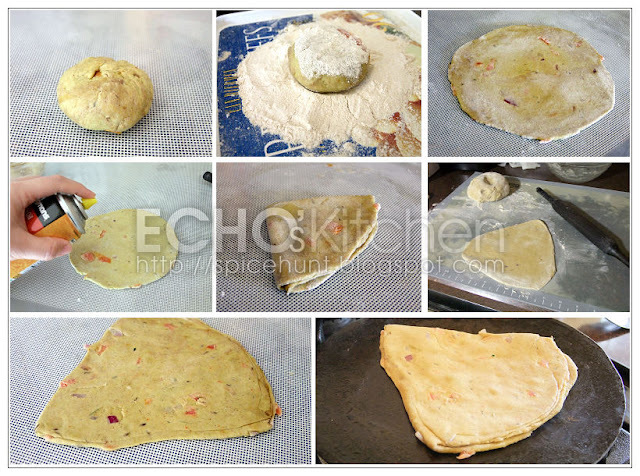 Press and lightly roll it out to a 2 mm thick triangle flat bread. 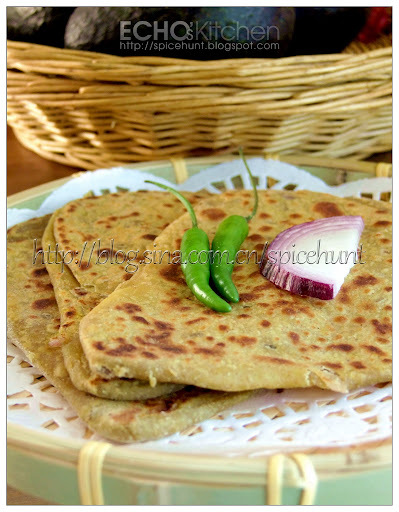 Heat up a tawa/cooking pan at medium heat, cook/roast the Paratha both sides with or without oil depending on your healthy consciousness, it is done when both sides turn golden brown. You could serve this bread with some pickle, chutney or any curry or vegetable you prepare for the day! It is super soft and yummy! Highly recommended! Curry and comfort。。。isn't it true?? I hate wasting food!! Especially one could be turned into such brilliant yummy food! Ohhh I forgot to say... Thanks! 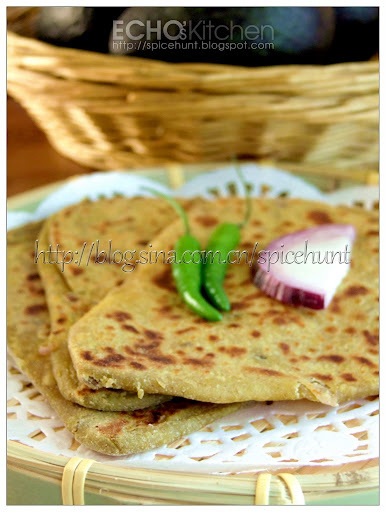 Hi your paratha look delicious. Thanks for sharing this interesting recipe. Have a nice day. Welcome to my blog Amelia! !